Extensive Business, Technical, & Operational Experience | GPX Global Systems Inc. The core team of four distinguished professionals has over 100+ years of combined experience in the engineering, design, integration, implementation, and operations of data centers, optical and Internet transmission facilities and services, communications networks, and business operations in the U.S., Western Europe, African, and East and South Asian region. The previously worked at AboveNet, Airtel, and Level 3 where they ran global data centers and networks that delivered exceptional performance, reliability, and customer service. The team brings deep knowledge and experience in design and construction of highly reliable data centers and networks, as well as the development of market-leading services and operations. Each of the executive team has run a global operation which served both large MNC and domestic customers. 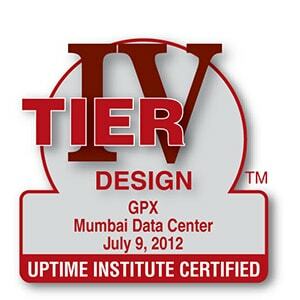 GPX managements core principles are to utilise a life cycle approach in the development of its data centers and markets. We design each data center to accommodate the unique features of the specific market, from design through construction and operations, our sole goal is on delivering exceptional reliability and customer service. All data centers are designed and constructed by our corporate team of professionals ensuring the same level of quality across all data center facilities. A combination of local and ex-pat operations personnel manage the DCs to offer exceptional customer support and service which exceeds the highest global standards.